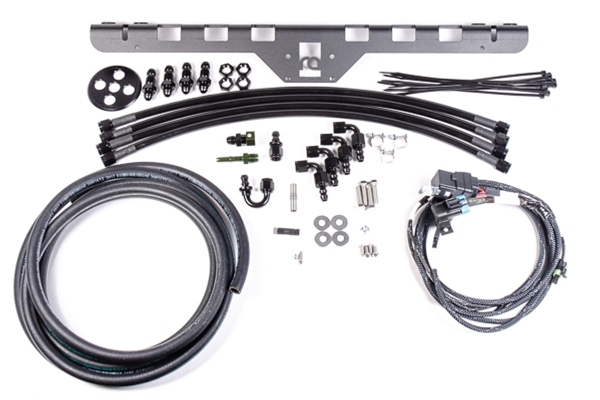 This comprehensive installation kit includes everything needed to install a Radium fuel surge tank with a single 39mm fuel pump or a Bosch 044 fuel pump in a 1999-2006 BMW E46 3-series or M3, but excluding all convertibles. The base price is for the installation kit only. The fuel surge tank (FST) is sold separately or select a surge tank from the options above. Note: The kit was not designed to work with the Radium MPFST. The kit was also not designed to be used with a Radium FST-R, but it can be accomplished with a few extra steps (not described in manual). 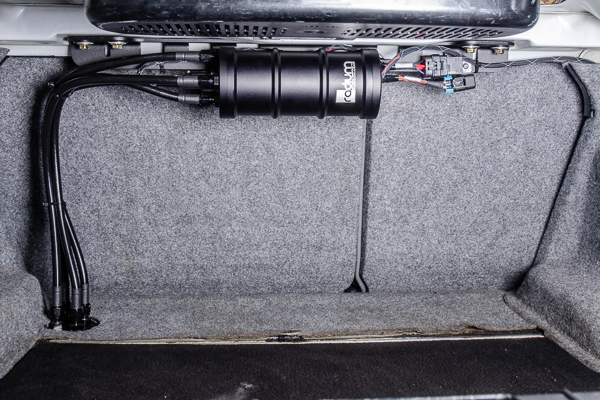 The BMW install kit locates the FST in a collision-safe area of the trunk behind the rear seat. 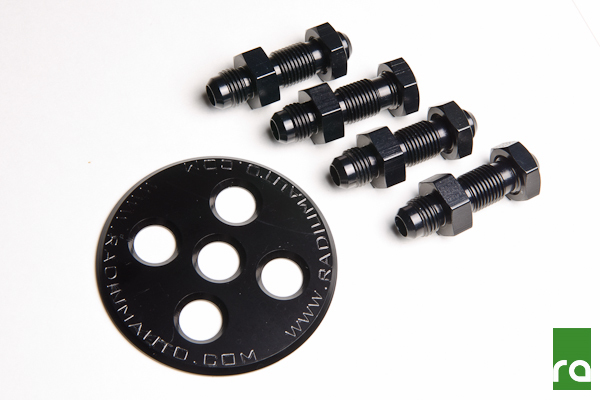 The bolt-on aluminum mounting bracket features rubber isolating grommets to reduce fuel pump noise. Also included is a fully assembled plug and play wiring harness featuring a weatherproof fuse and relay to drive the FST's fuel pump. A Delphi weatherpak connector is also provided for the fuel pump trigger activation to make the entire system modular. 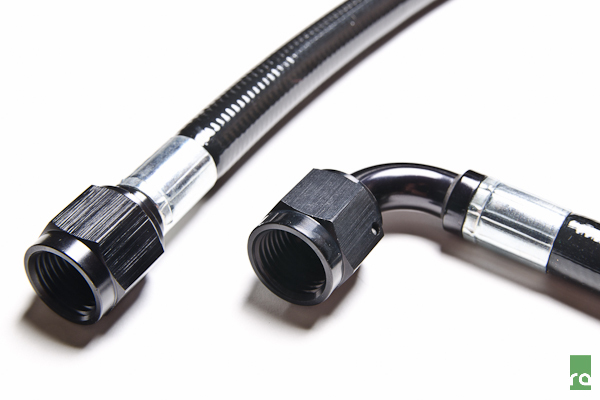 Included are 8 PTFE hoses which are cut to length and preassembled. Supplied in -6AN size only. The PTFE hoses mate at a junction point in the trunk using 4 bulkheads fittings and a billet aluminum plate for interior aesthetics.